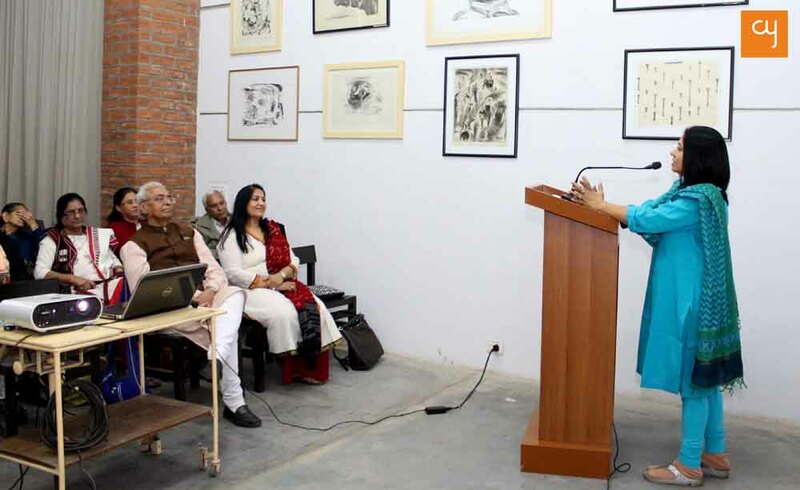 The actor/writer spoke at ‘Paraspar’ on how diminishment of pride in the Gujarati language is harming the coming generations and our tradition of storytelling, suggesting simple, doable ways to revive the language and reclaim our pride. 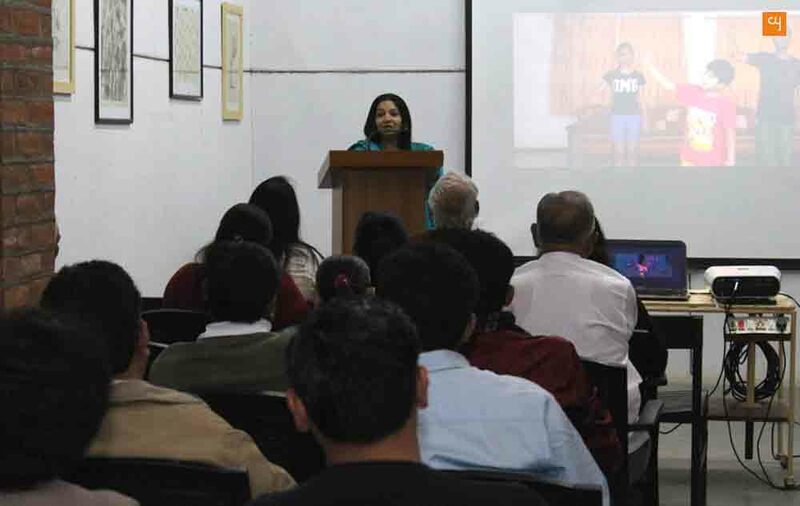 In search of ways to rekindle the love and effortless ease of our mother tongue Gujarati, ‘Paraspar’ has been organized as a monthly talk series in Ahmedabad, drawing upon people from literature, journalism, film, television, theatre, arts, and the web-world, to share their experiences with arts, literature and music. Organized and curated in collaboration with Matrubhasha Abhiyan, GLF (Gujarat Literature Festival), Kanoria Centre for Arts and Creativeyatra.com, the first edition to ‘Paraspar’ began on 20th January 2017, with the actor/writer Aarti Patel, who is well loved for the radio show ‘Zindagi Express’. A staunch lover of her own mother tongue, Patel doesn’t shy away from her opinions. 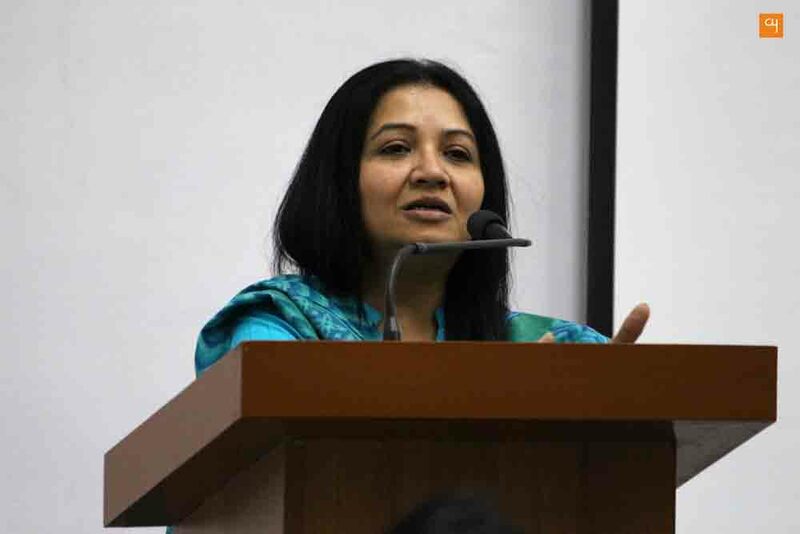 “I think I might have, what you call, Obsessive Compulsive Disorder when it comes to language, especially Gujarati,” she said, “I cannot tolerate incorrect language, incorrect grammar.” Her talk was like a love letter to the language she grew up with. Patel firmly believes that family plays the most important role when it comes to teaching language. Hailing from a family of academicians, she grew up in a house where gifts came in the form of books and no book was therefore out of reach. Stories came in all shapes and forms, from those of a mother talking to her child, to those of her grandparents, who used idioms and phrases and recounted the stories behind them. She talked about how her father was always gifting her books, and how these stories have shaped how she thinks, sees and loves the language. Patel very precisely pointed out how current education teaches students a language which is not their mother tongue, and thus from a very young age, children start confusing what word to use with what expression, leading to a generation of people who use a broken language which is neither Gujarati nor English nor Hindi. Taking it one notch above, she also pointed out how such a broken language becomes baseless and how these children, in truth, know no literature in any of the languages that they use. Neither do they know Jhaverchand Meghani and Umashankar Joshi, nor do they know PB Shelley and John Keats. One thing that truly bothered Patel is how we, as Gujaratis, feel inferior while talking in Gujarati. And this point resonated with all of us in the crowd. It is not uncommon to step into a posh restaurant and, by default, start talking in Hindi, or to meet someone who looks different and start talking in Hindi. She compared us to states like Maharashtra or South India where you have to learn the language – so as to talk in either Marathi or Kannada, in the case of Bangalore – to have a smooth sailing life; and to countries like Germany and Japan which don’t endorse English and make it mandatory instead to learn the native language. She emphasized that it is not a shame to speak in your own mother tongue, it should be a matter of pride. Charity begins at home, start with the basics. Patel’s advice to revive the language was simple, doable. Buy more books. Buy as many books as you can in Gujarati. Gift Gujarati books to people. Buy a Gujarati newspaper – that way you can familiarize yourself with the language every day. Teach your kids Gujarati. Tell them stories in Gujarati. Give them context, show them the culture you were brought up in. Tell them the stories behind all the phrases and idioms you grew up with. Recite poems with them, sing Gujarati songs with them. The more you do this, the more roots the language makes, till it starts to reside in a subconscious area and remains there always. And to achieve this, it is the parents who will have to play an important role. Schools can teach writing in Gujarati, as well as thinking. Rather than the perfunctory essays and textbook lessons, which become more about facts than actual stories, Patel believes it will be much easier if schools teach storytelling in Gujarati – creative writing in any form, from stories to essays to poetry. “If it interests them, children will want to learn. It shouldn’t feel like a compulsion, it should make them fall in love with narrative,” she said. The post session interaction with audience was marked by passionate and sensitive issues raised by the audience. The issues ranged from quality of Gujarati Language educators to embarrassment associated with using mother language. The overall take home was to develop more points of contact between language and children, so that the natural affinity towards mother language stays warm. With Gujarati poems and phrases on the tip of her tongue, Aarti Patel is one of those people who actually understands and is blissfully in love, possessively so, with Gujarati. And this is what makes her special. She stands firm in her beliefs and convictions, and most of all in her love for the mother tongue that she carries around with pride. It was a wonderful talk, one which not only inspired but also motivated everybody to put plans to action.